The Sovos Intelligent Compliance Cloud includes global tax determination (Sovos Global Tax Determination), exemption certificate management (Sovos CertManager), sales and use tax filing (Sovos Sales and Use Tax Filing), VAT reporting (Sovos VAT Reporting) along with tax information reporting for form 1099 (Sovos 1099), and ACA (Sovos ACA). Work for Sovos Intelligent Compliance Cloud? Learning about Sovos Intelligent Compliance Cloud? "An amazing solution with superior support compared to Avalara"
I can't think of anything that I dislike about this company or solution. We went through an ERP migration from GP to NetSuite, and we need to implement a tax solution within a short period. It was an amazing experience with the account management and support team. We had to choose between Sovos and Avalara, and we chose Sovos as the company is straight-forward. Avalara used bait and switch approach. The system eliminates the burden associated with tax filing and compliance work. Without a system like Sovos, I can not imagine how any company can keep up with the ever-changing tax landscape. In the US alone, there are thousands of jurisdictions. "What is the Intelligent Compliance Cloud"
We use the Taxware product from Sovos, so I'm not sure if it is part of the Intelligent Compliance Cloud, but if it is, oh boy, it's a great product. Helps us keep current on our exemptions and our reporting has improved due to the detail of the reports the system produces. Well I'm not sure if this is part of the Sovos Intelligent Compliance Cloud, so if it's not, then I dislike that. If this is what I'm using, it's great. Again, not sure if Taxware is part of this Intelligent Compliance Cloud but if it is, it has solved the problem of keeping current on exemption certificates and if the customer doesn't send us what we need, then the system begins charging them sales tax. This has greatly increased our documentation compliance. "Sovos Customer Support was excellent"
I worked with several members from the Sovos Customer Support Team and my inquiries/questions were logged within minutes of submission and someone always contacted in a very timely manner. During the most recent tax season i did not encounter any issues that I would say I "disliked"
enter tax certificates for our customers. "Pros and Cons to both Cloud and Hosted"
The Cloud envrionment works faster than the hosted environment. I have experienced interruptions with the could environment where I was not able to perform my work. I have used the SOVOS GTD for about 8 years now. They have made improvements but I think more can be made with the user interface at least. The Global Tax Determination system GTD (Taxware) is fantastic at calculating customer rates. I like the reporting and the testing functionality. "Excellent resource for accurate sales tax information"
The absolute accuracy of information and the ability to research tax rates. We utilize this for our global sales forca and the reliability on information is priceless. Nothing yet. I haven't experienced a flaw or area that I would consider to need improvement. If you are looking for an accurate and reliable tool, look nowhere else. This tool will improve your functionality and customer relations. It allows our sales team to confidently quote and sell across the globe. "Quick implementation and very efficient service. " Our project has gone very quickly. Sovos has been very efficient, doing all the work on time and being very helpful when we needed some extra help. Perhaps a Little bit of help when we were trying to understand US tax. Support for complying with all 1099/information returns is in one place. Centralized management system for reporting across a large organization. Understanding who has ultimate responsibility for making sure forms get filed can sometimes be confusing, especially in a large organization. Make a clear actionable plan with one party ultimately responsible. Up-to-date regulatory compliance with the IRS and all states. "Great company, readily available customer service." I like that if at any time I require assistance or have questions about my service, I know exactly who to reach out to. I can always depend on a quick and helpful response. I wish price estimates were more accessible for different services. 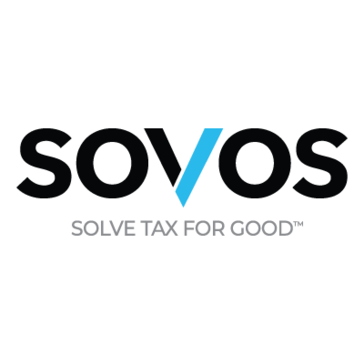 We rely on Sovos to provide updated sales and use tax rates monthly. tax codes are being updated monthly . tax code reports are available to end users. My company agreed on the service at the last moment. It was stressful to meet the filing deadline. Filing 1099 with IRS. The benefit is the filing is quick and smooth. * We monitor all Sovos Intelligent Compliance Cloud reviews to prevent fraudulent reviews and keep review quality high. We do not post reviews by company employees or direct competitors. Validated reviews require the user to submit a screenshot of the product containing their user ID, in order to verify a user is an actual user of the product. Hi there! Are you looking to implement a solution like Sovos Intelligent Compliance Cloud?